THIS 1914 handbill for a propaganda film screening in Clapton a few months after the start of World War One was uncovered in a dusty attic when a builder was working on a house a short walk from the cinema. The Warfare in the Sky notice was one of several near-century-old flyers found during restoration of the nearby terrace house. Census returns indicate that the collection may have been assembled by Miss Edith Ida Levie, who listed her job as “trade artist painter cards” and perhaps designed the posters. Stephen Vaudrey, who lives in the house, has donated some of them to Hackney Archives, recently relocated to the CLR James library. South Hackney Picture Palace is one of the businesses advertised. The ad shown here is for the Clapton Cinematograph Theatre in Lower Clapton Road near the roundabout, for which hopes of a reopening as a cinema may have flickered for the last time. 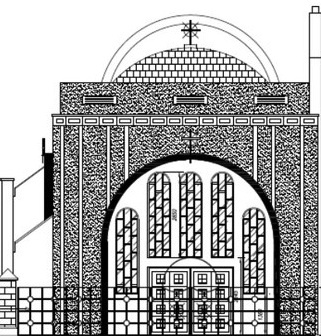 Tonight Wednesday 6 June 2012 Hackney Council planning sub-committee approved an application from a small church. Supporters of St Mary of Tserha Sion (also spelt by the church as “Zion”) Ethiopian Tewahedo Church UK broke into song in the public gallery when the announcement was made. Shortly before the hearing, Julia Lafferty, of the Friends of Clapton Cinematograph Theatre, told Loving Dalston: “It’s amazing that these handbills have lain undiscovered for so long. One is a tangible link with the past, which brings home to us what an important part the cinema has played in all our lives for more than a century. 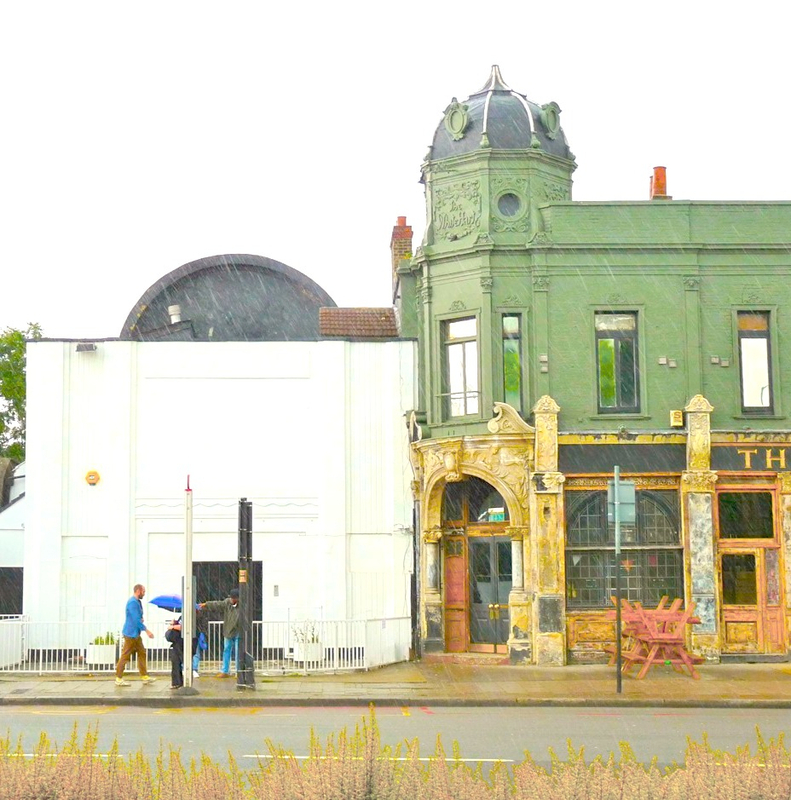 “There are still many people who went to the old cinema in Clapton in their youth and for whom it has special memories and associations.” Some people have less happy memories from when it was a venue called Dougies and later the Palace Pavilion. The building on the site became the Cinematograph around 1910 and was designed by George Duckworth, who was also the architect of the King’s Picture Palace in Kensal Rise, now demolished. It seems that Hackney council has shown as much respect for local heritage as it did for the huge theatre (and in the 1980s Four Aces nightclub) at Dalston Junction. Lafferty commented: “This planning decision sets an unfortunate precedent for what is acceptable for heritage assets in conservation areas, as the cinema is also a building of townscape merit and forms the setting of a Grade II listed building.